Looks at a series of American art and architectural projects that respond to the memory of the Holocaust. This work investigates how abstract artists and architects - whose work by its very nature rejects conventional figuration or symbolism - have negotiated Holocaust memory wit... read full description below. This absorbing book looks closely at a series of American art and architectural projects that respond to the memory of the Holocaust. Mark Godfrey investigates how abstract artists and architects - whose work by its very nature rejects conventional figuration or symbolism - have negotiated Holocaust memory without ever representing the Holocaust directly. His thought-provoking conclusions will alter the way we understand abstraction, the place of abstract artists in art history, and 'Holocaust art'. The book considers works from 1951 to the present and includes, among others, paintings by Morris Louis, Frank Stella and Barnett Newman; Louis Kahn's proposal for New York City's first Holocaust memorial; and United States Holocaust Memorial Museum commissions by Richard Serra, Joel Shapiro, Sol Lewitt and Ellsworth Kelly. The book concludes with a thoughtful discussion of Peter Eisenman's Berlin Holocaust memorial and Susan Hiller's photographic and video work, The J. 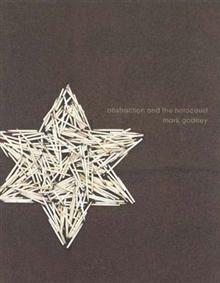 Street Project , and shows how these works extend the possibilities of abstraction as a form of Holocaust representation. Mark Godfrey teaches at The Slade School of Fine Art, University of London.